For businesses in some specific industries, we implement a promotion of lead capture pages or landing pages. Firstly, we design an attractive single page site which delivers your business message in a few sentences. It works best if the page contains some kind of offer or seasonal promotion. Then we promote this page in one or all of the following methods. The goal here is to reach a large number of niche audience quickly and capture business inquiries. Over time, landing page promotion has proven to be very effective in Lead generation. 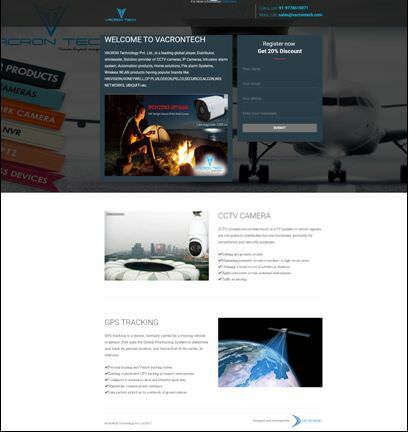 In order to pursue a Google AdWords promotion, we designed this landing page for Vacron Tech, an IT hardware company with multiple branches in India. Then we shortlisted the keywords which are most relevant to them and went ahead with the Adwords campaign. In the two months long campaign we secured them over two dozen leads, most of which were converted into sales. 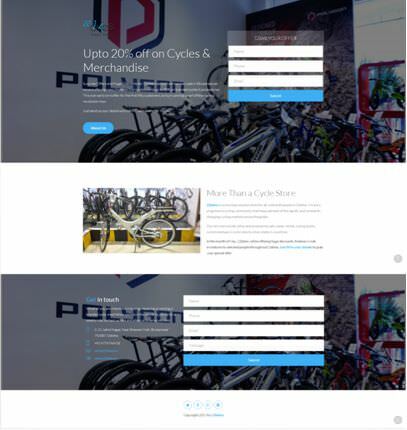 We started off with designing this landing page for 22 bikes, a bicycle concept store in Bhubaneswar, India. 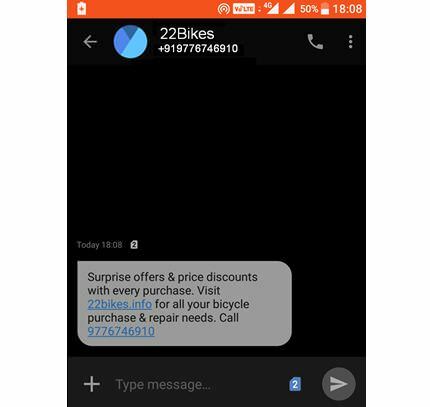 This promotion was part of their second-anniversary offers, where they decided to give out surprise gifts with each bicycle purchase, especially to fellow entrepreneurs in the state. Our strategy included sending an SMS message to all budding entrepreneurs in the state about this offer, plus promoting the same through local classified sites. The campaign was a huge success, with multiple leads converting and a solid return on investment for the business. We track all visitor activities of the landing pages through Google Analytics. So we know when we are being effective, and which areas to focus more to be even more effective. Contact us today for a free analysis & quote.